Members of New York’s beleaguered small business community and their supporters have spent more than three decades pushing for the passage of a bill intended to shield the city’s mom-and-pop shops from exorbitant rent increases. The latest chapter in their fight is slated to begin on Monday when the City Council is set to hold a hearing on the fate of the legislation. Yet there will be one group of constituents missing when proceedings begin at City Hall: the bill’s original champions. Sung Soo Kim, a co-author of the Small Business Jobs Survival Act (SBJSA), first introduced in 1986, suffered a heart attack earlier this year and remains hospitalized. Regardless, his organization, the Small Business Congress, was already planning on boycotting the hearing. Barrison says the Small Business Congress has been boxed out of talks with councilmembers ahead of the hearing and expressed doubts over the sincerity of those orchestrating it. Landlords are extracting hundreds of millions of dollars from New York’s small businesses and pouring the money into the campaign coffers of politicians. 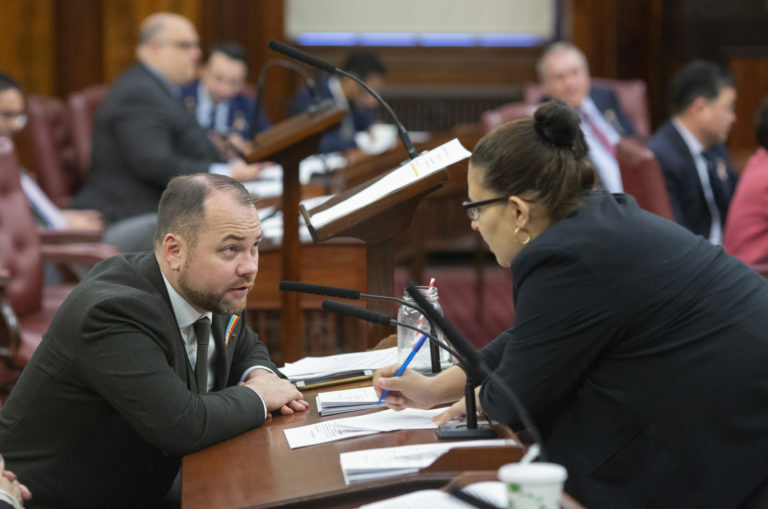 City Council Speaker Cory Johnson and Bronx Councilmember Mark Gjonaj (pronounced joe-nye) — chair of the council’s Small Business Committee, which is staging Monday’s hearing — were elected with major backing from developers. Looking at Johnson’s campaign contributions last year, Crain’s New York noted what it described as a “$63,000 investment” in the speaker on the part of real estate executives. Johnson appointed Gjonaj to his chairship shortly after he was elected to the speakership last year. A former realtor, Gjonaj received over $77,000 from Progress Now New York, a political action committee that is funded by members of the Real Estate Board of New York (REBNY), SBJSA’s most vocal and deep-pocketed opponent. Essentially a bill of rights for small businesses, SBJSA would require landlords to offer a minimum 10-year lease renewal option to commercial tenants or else justify why an offer was withheld. If landlords and tenants cannot agree on the terms of the lease, the dispute would be sent to binding arbitration. It also sets caps on security deposits and protects tenants against retaliation. These measures are crucial, advocates agree, to preserving the city’s small businesses, which are slugged with an average of nearly 500 evictions a month. The Small Business Congress estimates (conservatively) that another 500 to 700 businesses close up shop on a monthly basis without eviction proceedings taking place. 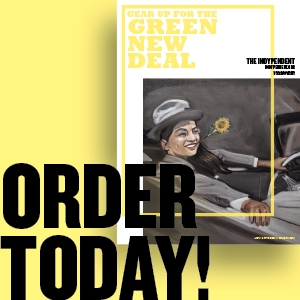 The closures have held steady since 2002, through the Michael Bloomberg and Bill de Blasio mayoral administrations,leading to the cumulative loss of about 2 million jobs. The developer’s lobby has attempted to cast doubt on SBJSA’s legality, labeling it a form of commercial rent control, which would fall under the regulatory domain of the state. This is a relatively new allegation in the course of the bill’s 32-year history, but the label has been picked up widely of late, particularly in the financial and real estate press. SBJSA supporters emphasize that it does regulate rent, merely requires binding arbitration in lease disputes. The Small Business Congress wants the City Council’s lawyers to clear the measure of the cloud surrounding it or else they fear a repeat of 2009, when SBJSA looked set for passage until then-Speaker Christine Quinn refused to bring it to the floor, citing vague legal concerns. The organization also notes that Gjonaj appears not to understand or be unwilling to address the root cause of the mom-and-pop closures: lease negotiations in which landlords hold all the cards. Echoing another REBNY talking point, Gjonaj has instead blamed taxes and regulations for stifling small businesses. This summer he touted his own bill that would reduce fines for violations incurred by what he describes as “micro-businesses” but was evasive when asked for his stance on SBJSA. Gjonaj has not responded to multiple requests to comment from The Indypendent. The Small Business Congress is not alone in speculating that Monday’s hearings will be rigged, though other groups backing the measure, including Take Back NYC, plan on participating. A source familiar with discussions with councilmembers told The Indy that, as of last week, representatives for REBNY were scheduled to speak first and expressed concern the developers’ organization could set the tone for the meeting. A spokesperson for Johnson said earlier this week, that a list of those invited to provide testimony was still being compiled “but many people who show up at hearings and testify do it without notifying us.” Asked to clarify, he said “a wide array of stakeholders” were invited and “we will hear from anyone who wants to testify.” The spokesperson also conveyed the speaker’s willingness to evaluate SBJSA on its merits and his concern for small businesses. The bill’s decades-long supporters will believe it when they see it. SBJSA has 20 cosponsors at the moment, not enough to pass the measure, let alone block a likely mayoral veto. Another possible outcome is that a watered-down version of the measure passes. Photo: Council Speaker Corey Johnson. Credit: John McCarten/New York City Council.